This year, on the heels of a success Women in Leadership & Business (WILB) conference in Southern Ontario, Pinch Social is thrilled to be continuing our relationship with WILB as their official Social Media partners. Supporting women in leadership is a passion area for Pinch Social, and we are excited to be following the popular annual conference to Calgary this month! As partners, we are offering an exclusive discount for our network (see below). We are also giving away two tickets to the opening Keynote talk by Clara Hughes – read on for details below! 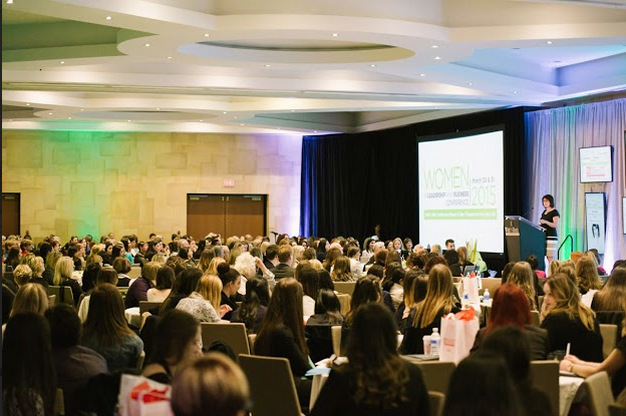 From November 20th until November 22nd, over 250 (mostly) female entrepreneurs, business owners and senior executives will gather in Calgary at the beautiful Hyatt Regency for interactive learning and networking at the second annual Calgary WILB Conference. Founded in Ontario in 2012, The WILB Conference is hosted every March in Niagara on the Lake, and – since 2015 – every November in Calgary. This year, our day 1 keynote speaker is 6-time Olympic medalist and mental health advocate, Clara Hughes. Voice Coach Consultant on NBC’s TV Show, “The Voice”, Tamara Beatty will be our keynote speaker on day 2. The conference has expanded to include a unique 1 day event called Born 2 Lead for emerging female leaders ages 16-28 hosted at the same venue, during the first day of the WILB Conference. Attendees from both events gather together for the opening keynote, and then finish the day with an interactive workshop. As WILB’s official Social Media Partner and platinum level sponsor, Pinch Social manages WILB’s social presence, and aims to enhance the social media experience for all WILB delegates before, during and after the conference. Each attendee will receive a Social Media Handbook in advance of the event, attend practical workshops on Twitter and LinkedIn at the conference, and much more. Pinch Social’s team will be on-site throughout the 2.5 day event to answer attendees’ questions about social media and help them use social networking to make the most of their WILB experience both in person and online! Finally, Pinch Social is delighted to give away 2 free tickets to Clara Hughes’ keynote on Monday, November 21st at 8:30 am at the Calgary Hyatt Regency!